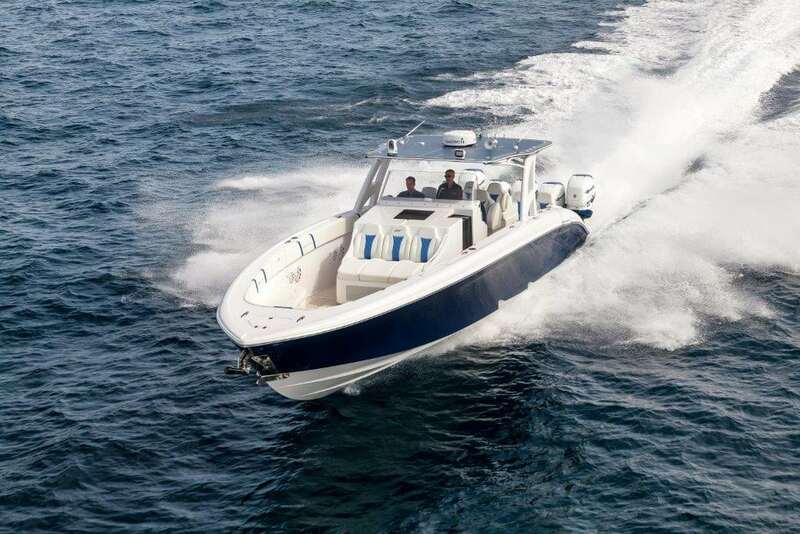 Conceived with performance and efficiency in mind, Midnight Express’ Quintessence43 was named for its groundbreaking five 400-horsepower Mercury racing outboard engines set up with surfacing props and Sport-Master drives. 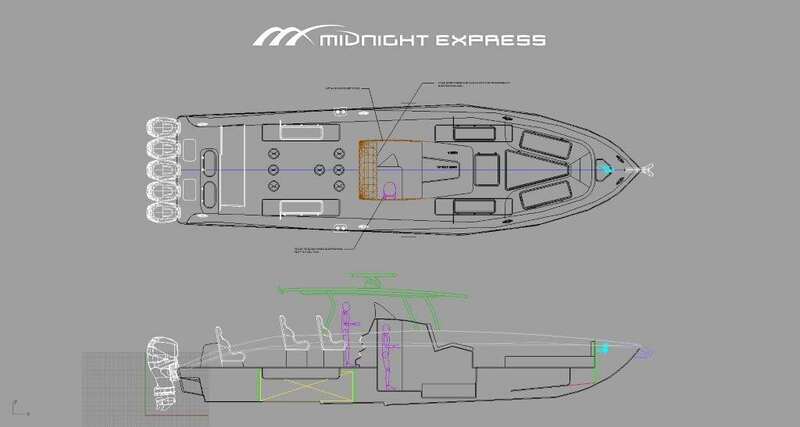 By launching Quintessence43 in June, Midnight Express has extended its engineering acumen, reinventing the performance experience of its five-engine boats—the company introduced its five-engine outboard designs in 2007—with its two-lever control system, the ErgoEngine Control. The design, and having only two levers to maneuver, allows for simplified operations with speeds that can exceed 190 mph (78+ knots). This turnkey solution for advanced five-engine control offers an additional bonus: it takes just one key to start all five engines. Quintessence43 features a true twin-stepped hull, which produces minimal bow rise to get on plane. 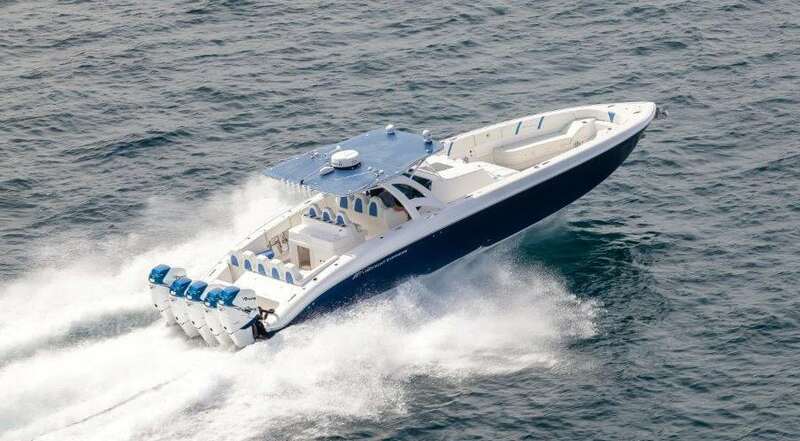 It’s built with Midnight Express’ exclusive infusion-molded and cored structure across the entire boat, allowing for a lighter, faster, stronger, and fuel-efficient boat. It offers a 100 percent carbon fiber dive door with an integrated ladder, carbon fiber-infused hardtop, and a fully digital control system powered with Garmin touch screens. The entire system is operated with wireless remotes to enable selecting different lighting modes and to turn the battery switches on and off without climbing into tight spaces. Enjoy the full symphony that comes with the stereo system that includes 14 speakers, six subwoofers, and six amps producing 3, 200 watts in the company of family and friends with ample seating for near to 20 people.